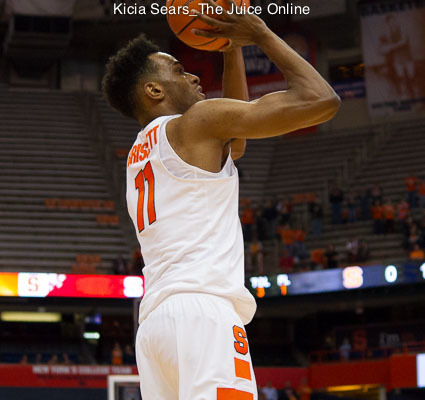 WHAT HAPPENED: After Kendrick Nunn’s 3-pointer with 9:22 to go cut SU’s lead to 51-41, the Orange took complete control of the game on an 8-0 run, all on scores from Syracuse’s starting backcourt of Tyus Battle and Frank Howard. Another 8-0 run five minutes later capped by a Geno Thorpe layup put the game into full rout mode, with the Orange leading 68-45 with 5:09 to go. 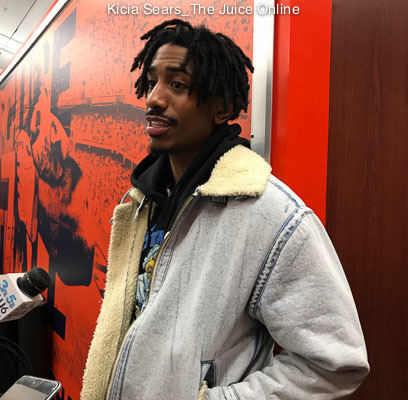 ANALYSIS: Syracuse may not have the offensive firepower to muscle its way past the ACC’s elite this season, but the Orange may be able to remain competitive with its scrappy play on defense. Syracuse stymied the Golden Grizzlies from the start, holding Oakland to 30.5 percent shooting from the field and 6-22 from downtown. SU also forced 19 turnovers and had 12 combined steals and 15 blocks. And this wasn’t a cupcake game for the Orange. Oakland is considered a favorite to win the Horizon League, and with it, the automatic NCAA bid. The same can be said of Iona and Texas Southern, who both have good chances of dancing in March. The Orange handled all three teams without much issue. HERO: Tyus Battle led all scorers with 25 poitns on 9-17 shooting from the field. Frank Howard notched a career-high 18 points and chipped in six assists. 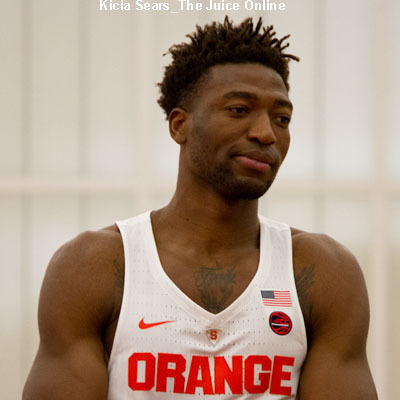 Paschal Chukwu recorded his first collegiate double-double, with 12 points and 10 rebounds, and fell just short of a triple-double with eight blocks. ZERO: Kendrick Nunn came in averaging 28.0 points per game, but had his first off shooting night of the season, shooting a woeful 4-17 from the field for 12 points. WHAT’S NEXT: The Orange play Toledo on Wednesday night at 7 p.m. at the Carrier Dome. TV: ACC Network Extra.